ETL offers a variety of services for consumer electronics industry, ranging from global freight management to Certified warehousing, product assembly to product delivery Management. Everchanging technology sector also requires a logistics company that can change at the same speed of the market requirements as well as apting to the customer’s fast decision process. ETL global freight management capabilities combined with its warehousing and value added services such as product assembly in the destination makes it possible for technology companies to manage a more flexible supply chain and faster product delivery and replenishment process. ETL offers tailor-made solutions for both technology OEM’s and companies sourcing parts to these OEM’s. 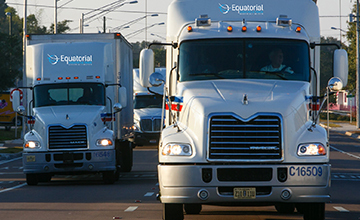 Equatorial Logistics offers its customers in Consumer Electronics industry a global reach using a combination of Air, SRoadroad and multimodal transport modes. A full line of secured and general transport services are available for customers looking to source products from global markets or customers looking to sell their products around the world. 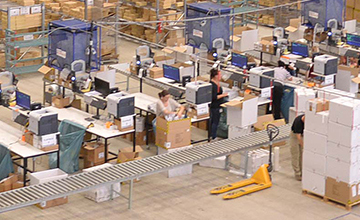 ETL offers specialized warehousing solutions for consumer electronics. ETL manages customer dedicated sites to store consumer electronics in Nigeria, Turkey, Belgium, Netherlands, UK, and UUAE, offering solutions under general and customs bonded environments. Netlog manages the logistics of some of the most known retail brands in the world providing access to a market of 49 countries within the EMEA Region. ETL offers some of the best practices in the market for companies looking to develop their on-line presence as well as already active e-commerce companies. In 2014, Netlog has managed the deeply customized flow of over 26.000.000 e-fulfilment orders, making it possible for its customers to reach out to 49 countries within Europe, Middle East, and Central Asia. Consumer Electronics Industry, compared with all the industry verticals, is the fastest changing one of all. Which is one of the reasons why it is crucial to have a fast running supply chain? Netlog offers the much needed fast and secured transport services for the consumer electronics industry, creating the necessary competitive advantage for the success of the customer. ETL offers a full range of value-added services for food manufacturers and retailers, making it possible to maximize the efficiency and speed with which their supply chain operates. In addition to offering basic VAS capabilities under all temperature controlled environments, ETL is also able to add further value-added services to meet the needs of its customers and adapt to their deeply customized supply chain systems. Learn more about ETL VAS operations. 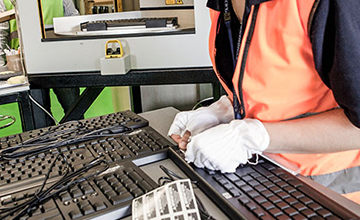 Product Return Management is as important to our customers as forwarding logistics operations. 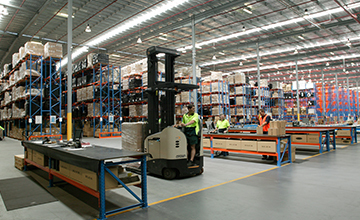 ETL manages the reverse logistics operations of its customers under a different operational setup. Products are received, sorted, checked and re-processed for re-sale operations. ETL also runs a special operational division to manage the product returns that are fake.